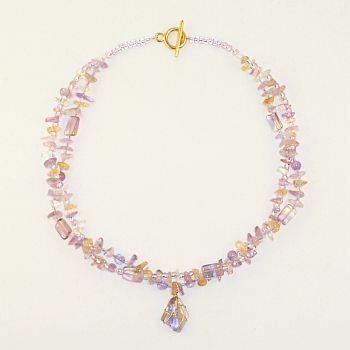 Lovely amethyst, citrine and ametrine chips, rounds and rectangles spaced with lavender seed beads. 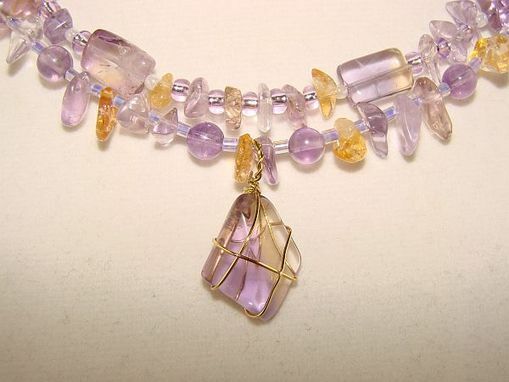 Free-form focal is ametrine, wire-wrapped by hand. 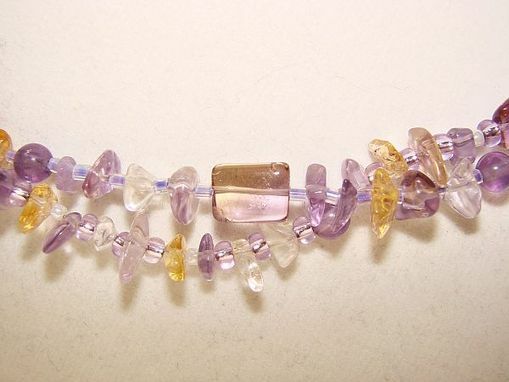 Two strands are twisted around each other and can be twisted tighter or untwisted for different looks. Gold plated toggle clasp.